Brides not only want to look good when exchanging vows but also want to look good at their wedding reception. Most of them usually opt for a more traditional look for the ceremony and a more party-friendly look for the reception. 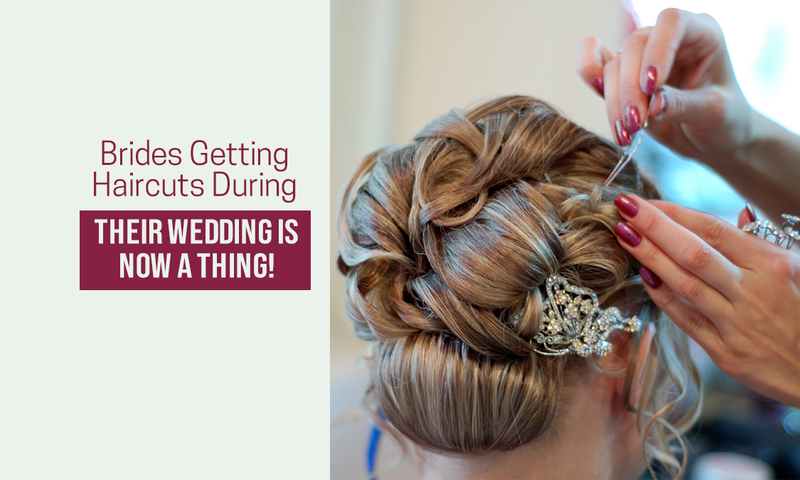 Well, a most recent wedding trend is that brides prefer having a new haircut minutes after the wedding ceremony. In this case, they enlist the help of a hairdresser who cuts off their hair. Why Cut Your Hair for the Reception? A new survey from Refinery29 revealed that brides are comfortable with new haircuts during their wedding reception. Most of them believe that the haircut complements the party-friendly gear they will be wearing after exchanging their vows. Though there are those who prefer cutting their hair after the honeymoon, majority of the brides prefer getting new haircuts after the wedding. Rocking a new haircut at your reception can give you the coolest second look. It will only take your hairdresser less than 15 minutes to get the job done. Once you step into the reception venue, you will be the center of attraction because of your new cool look. You will even give the guests something to cheer them up at the party. Your new haircut can help you look good at the photo session and reception if your hair stylist does it well. It can also give you confidence to walk round the reception venue when thanking the guests for coming to your beach wedding. Choose a hair stylist with a higher success rate in making brides as you look. Quick hair makeovers pay off for brides like you looking to have fun at their wedding reception. Be sure to complement your new haircut with a smile and a dash of confidence. Remember to discuss your haircut preferences with the stylist and choose what works for you.